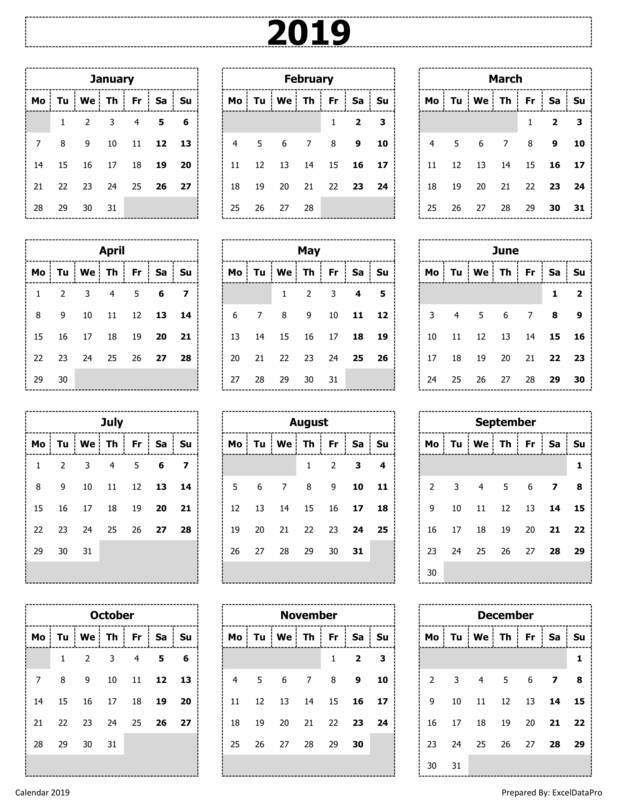 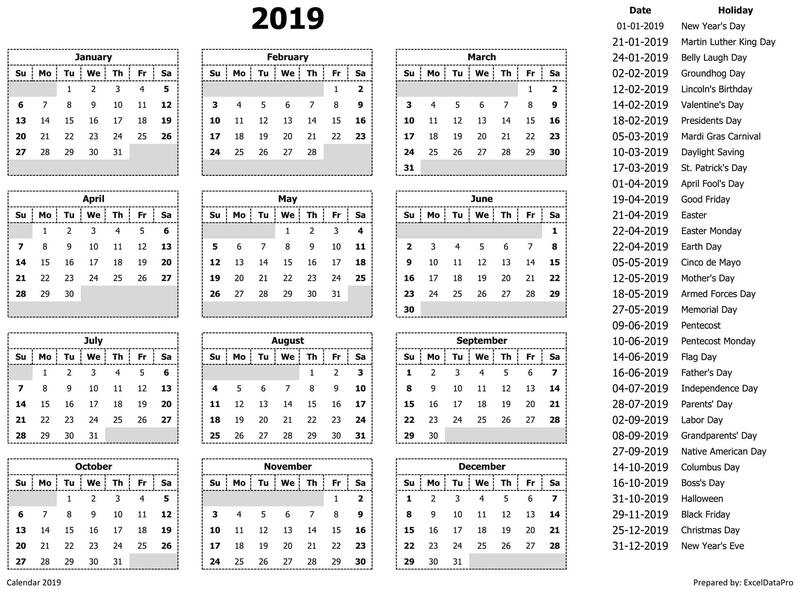 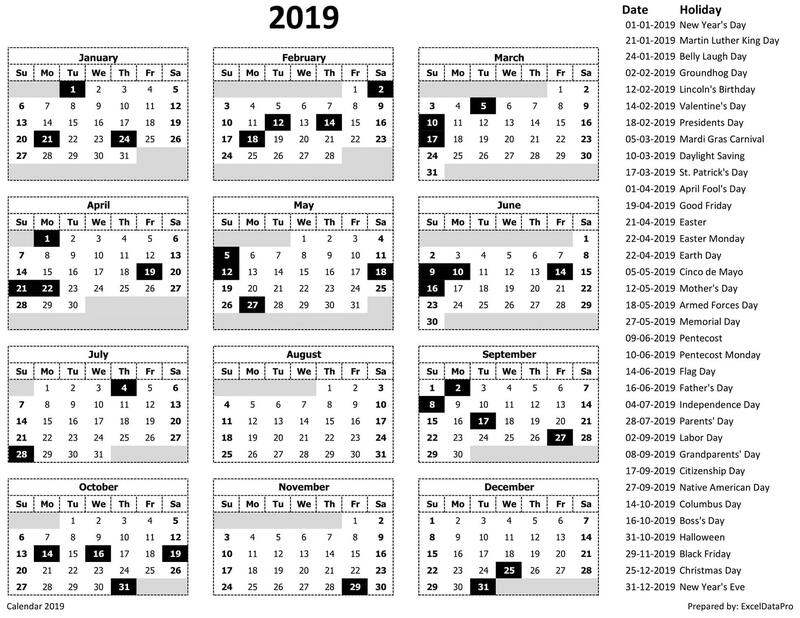 Right-click to Save the image and put Calendar 2019 as your desktop background. 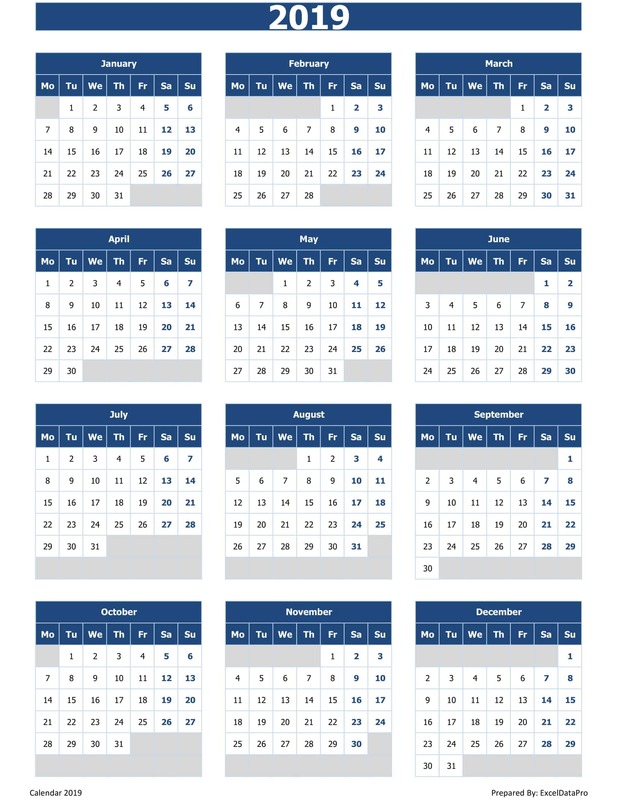 Download and Print PDFs to hand on walls. 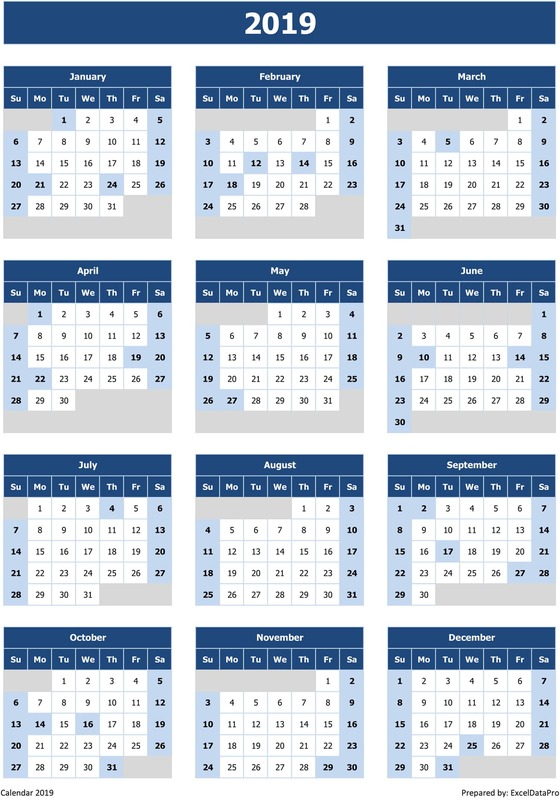 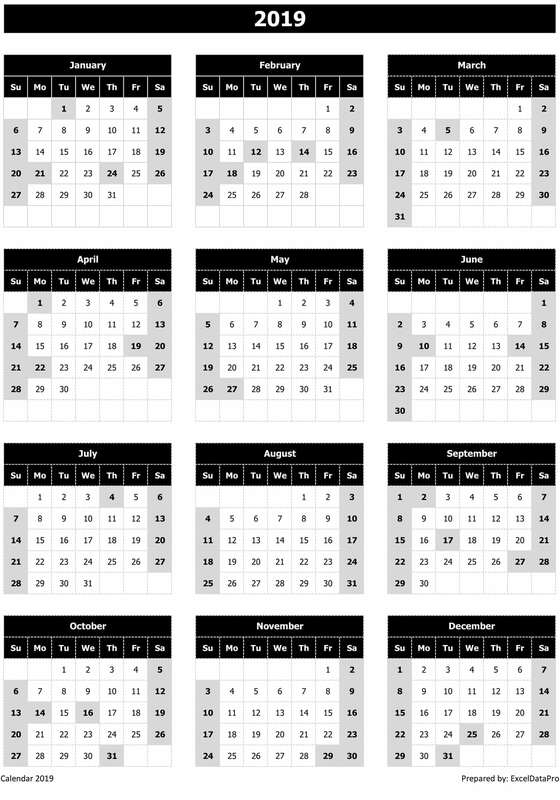 Download excel and design your own calendar with your own color scheme. 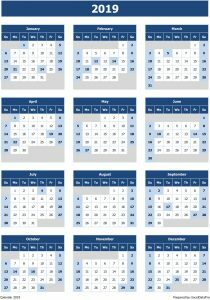 All excel templates, PDFs and images are free to download, use and customize as per your requirement. 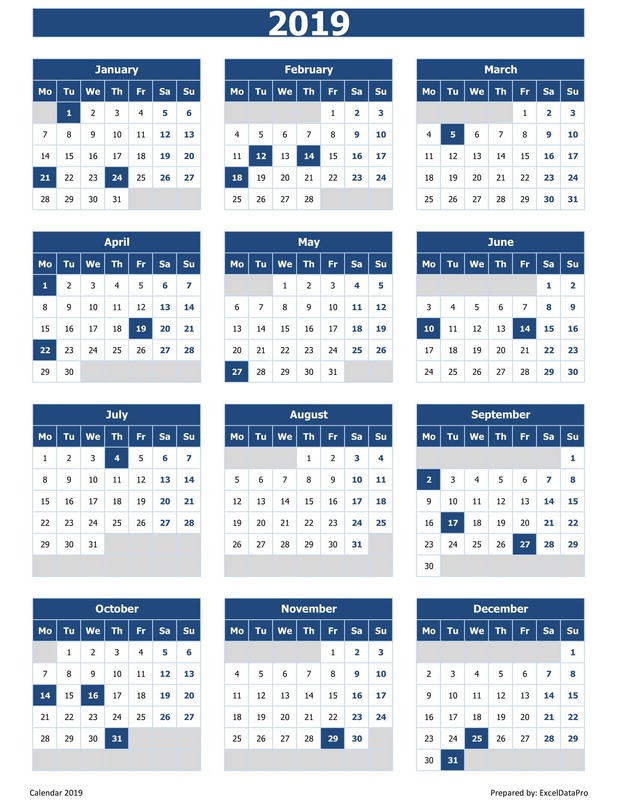 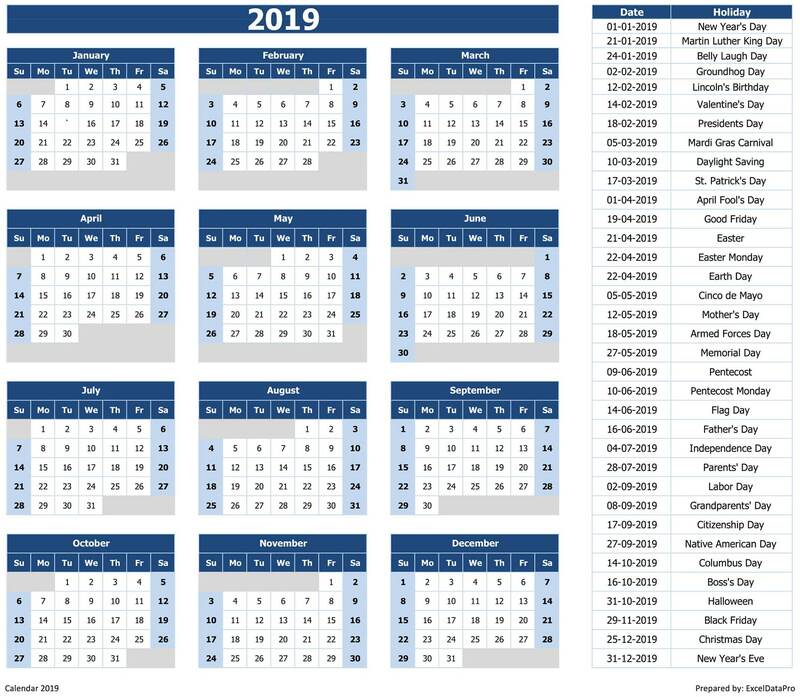 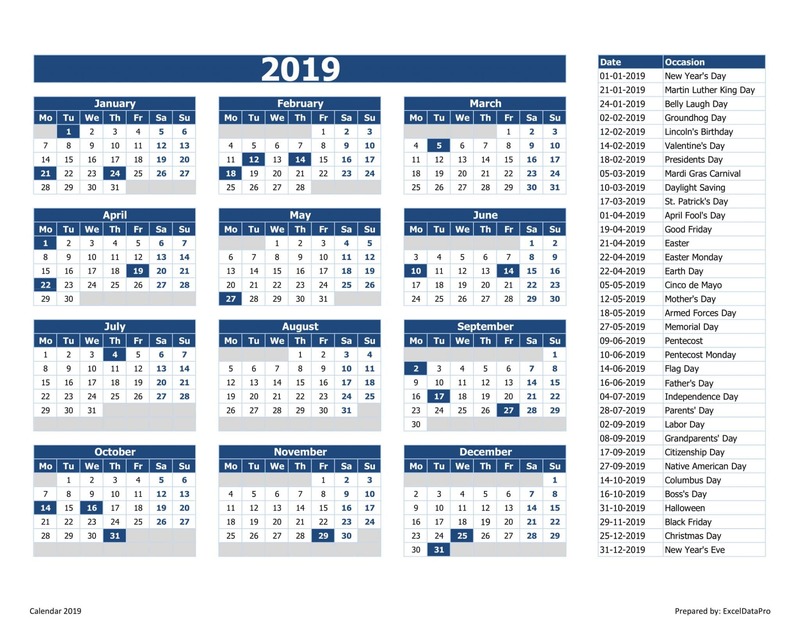 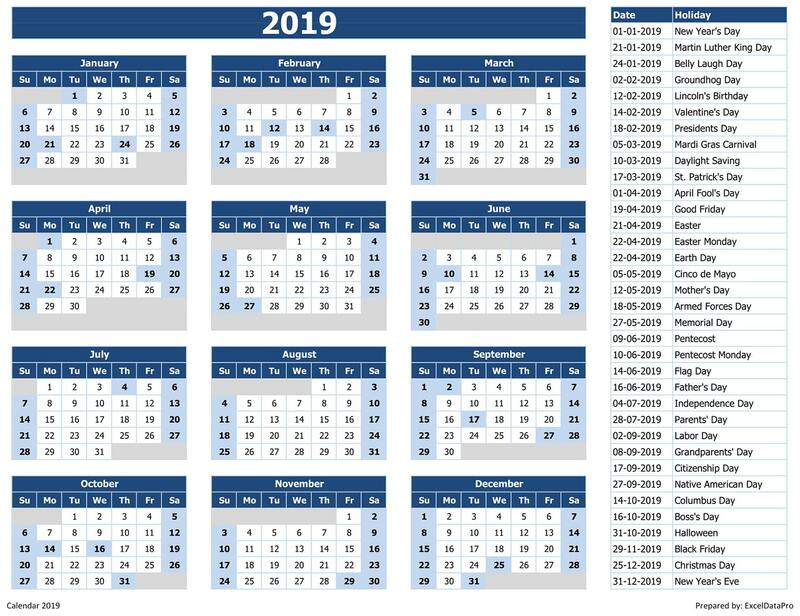 Calendar 2019 with the most decent blue color scheme. 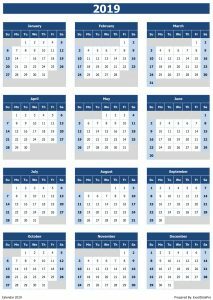 You can change the color scheme according to your requirement. 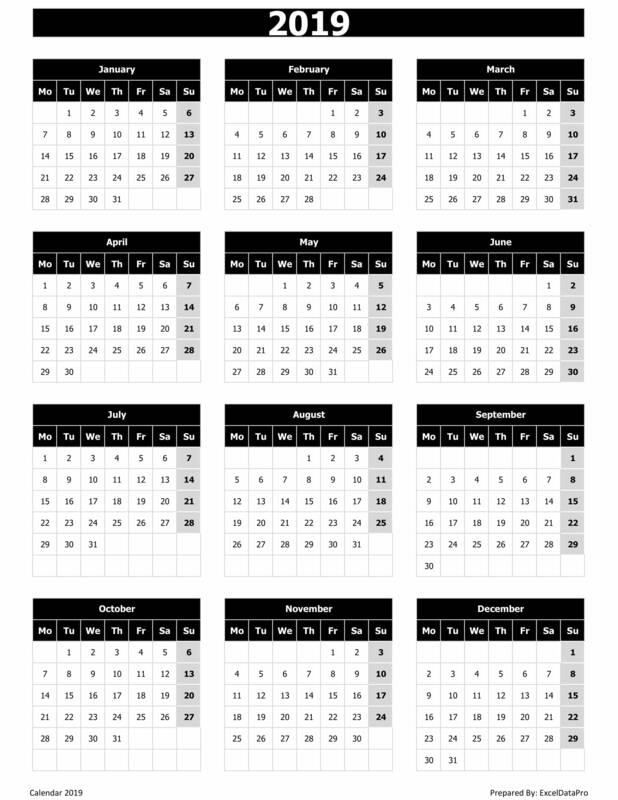 Click on the image to view full-size image and click on the buttons below to download PDF or Excel file. 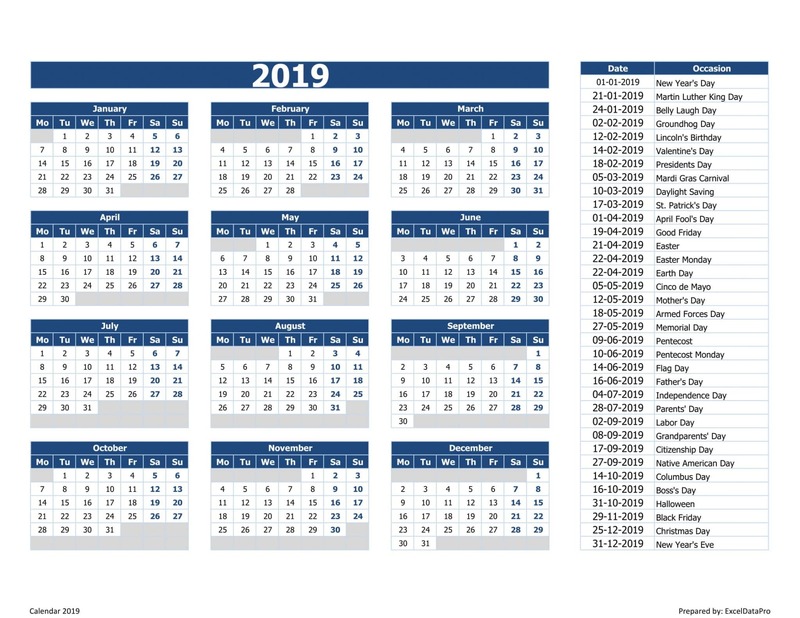 Calendar 2019 with the week starting on Monday. 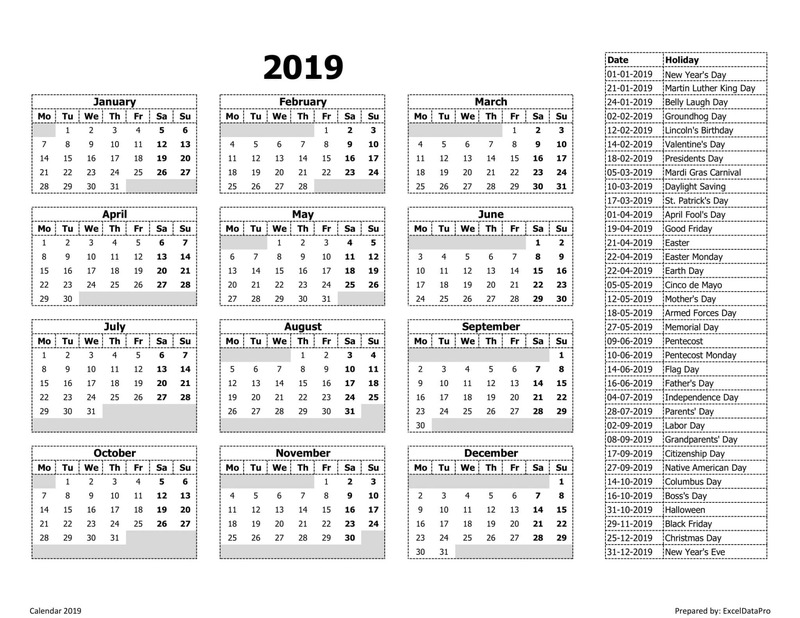 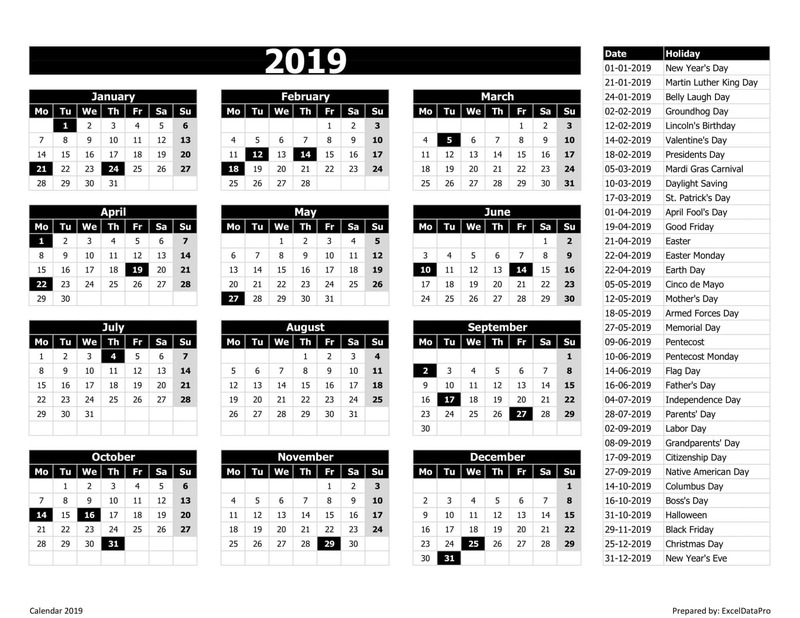 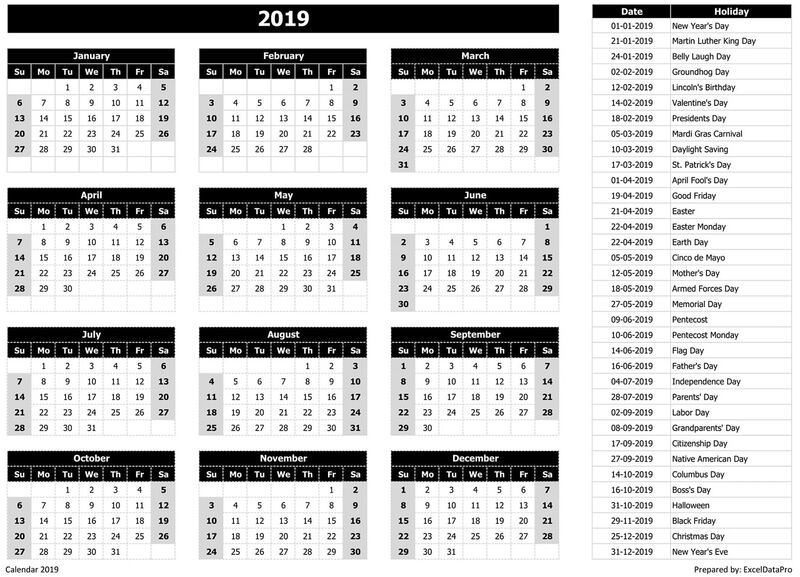 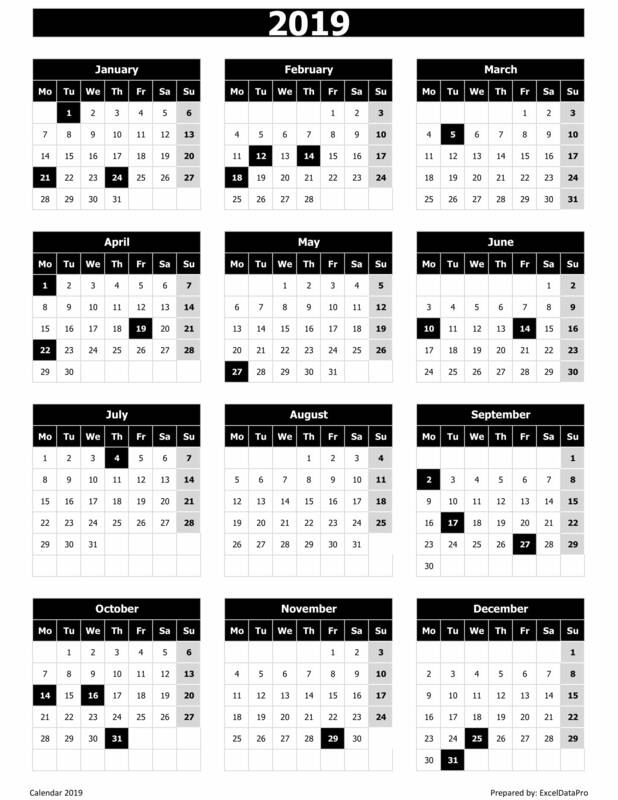 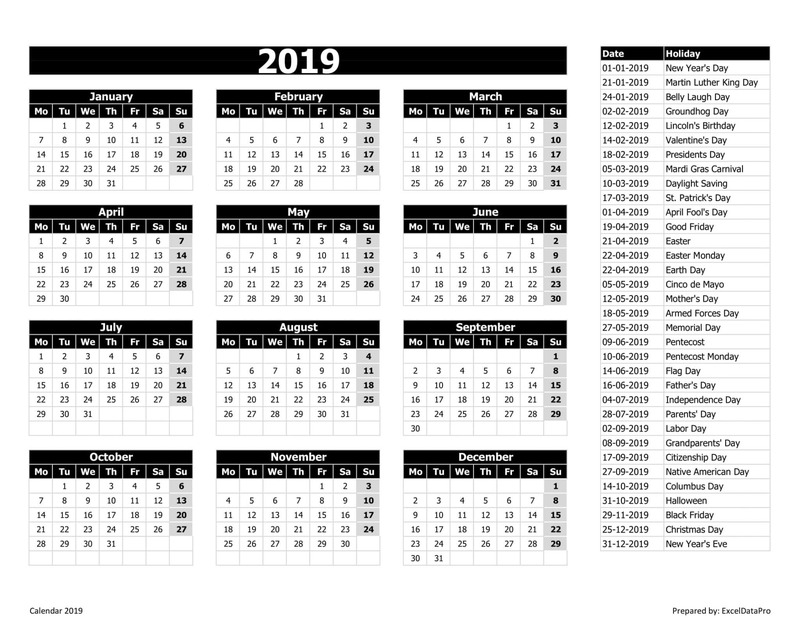 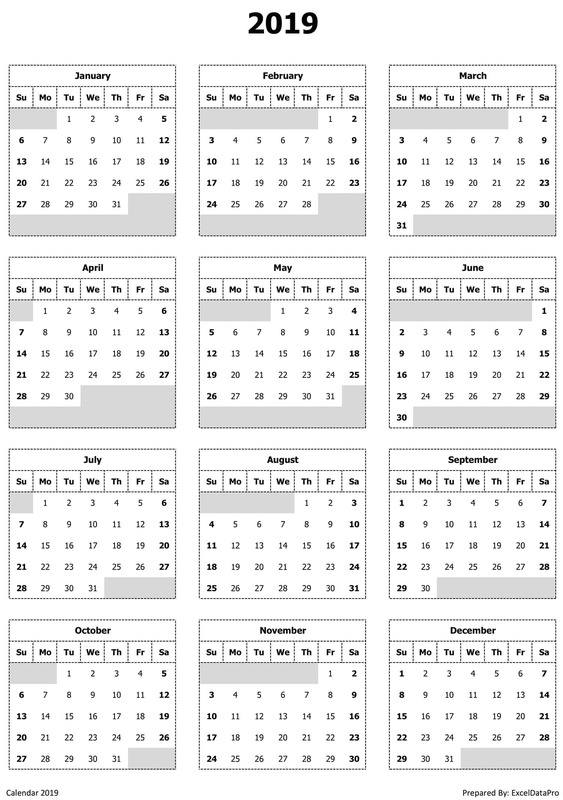 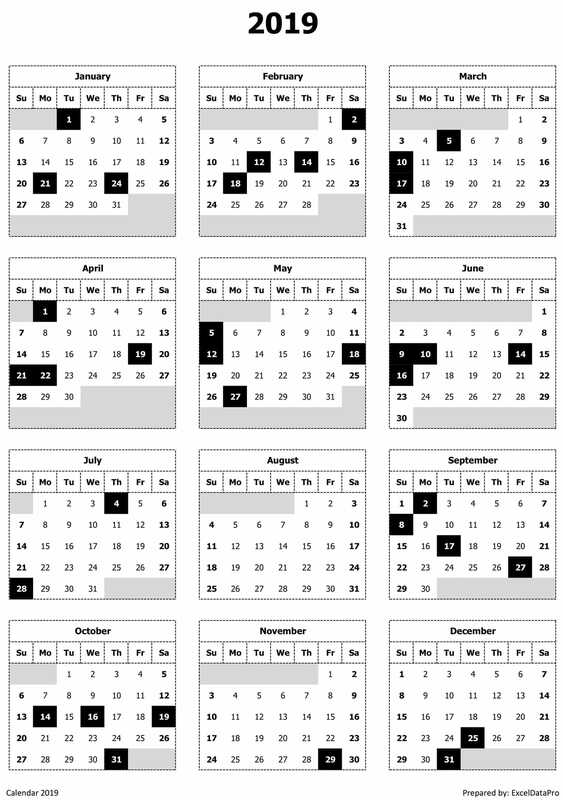 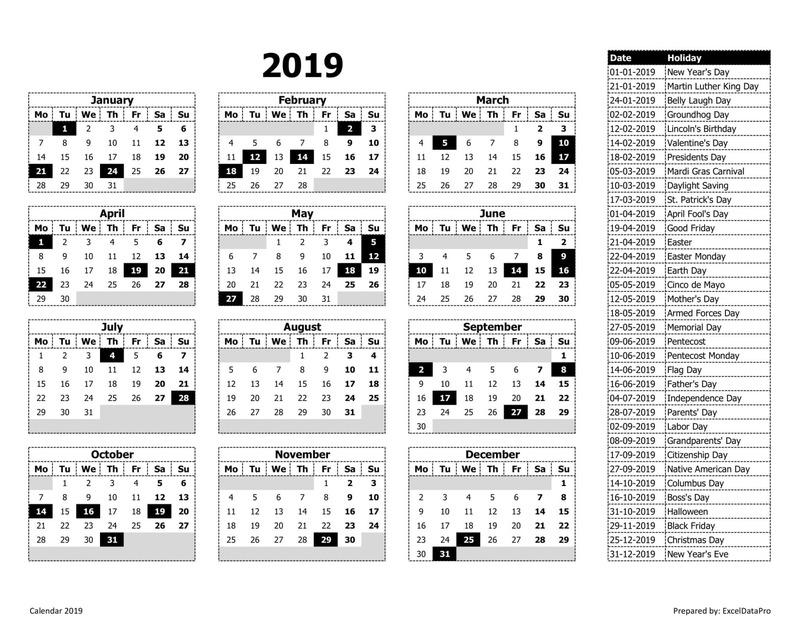 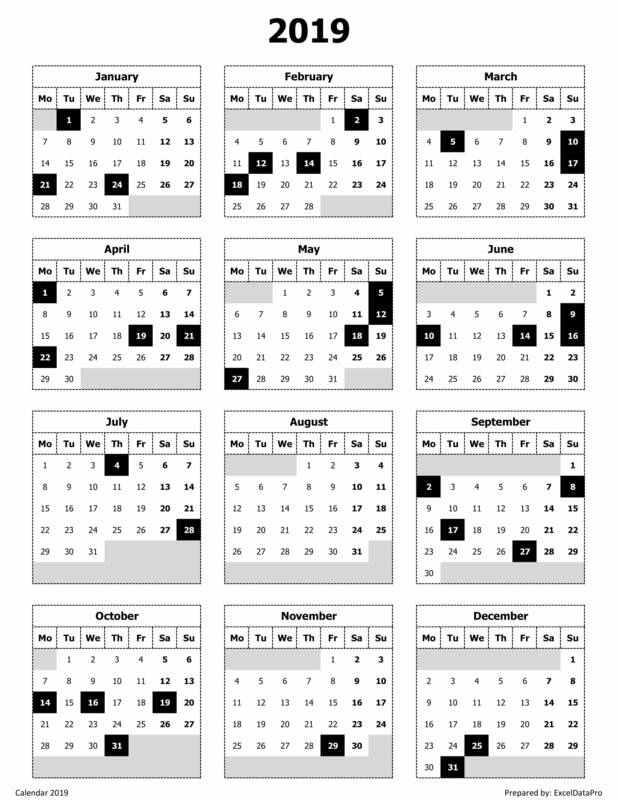 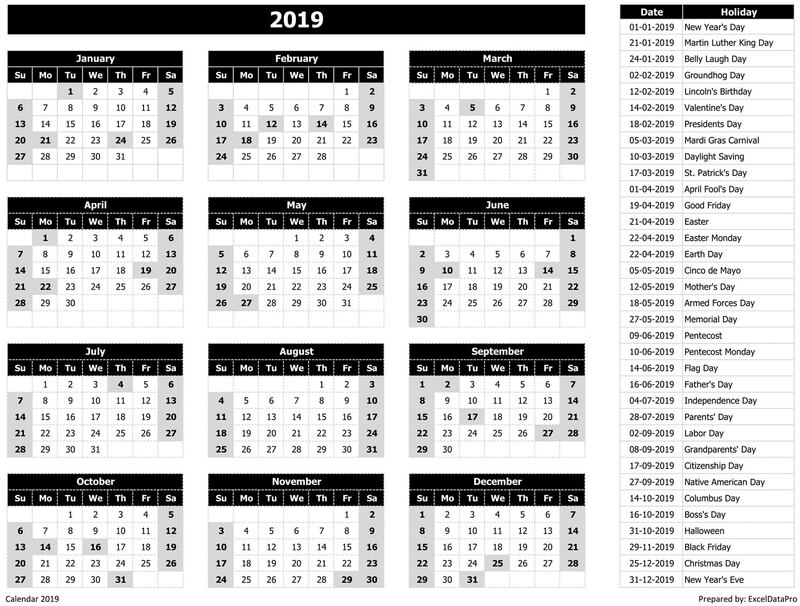 Calendar 2019 in Plain Black & White Color Scheme. Calendar 2019 in Plain Black & White Color Scheme with the week starting on Monday. 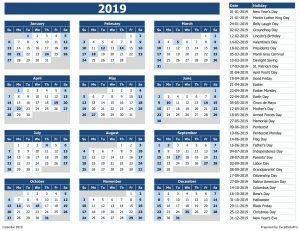 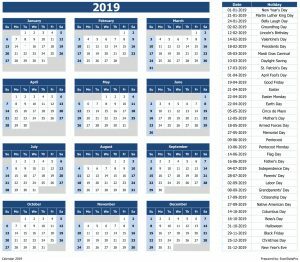 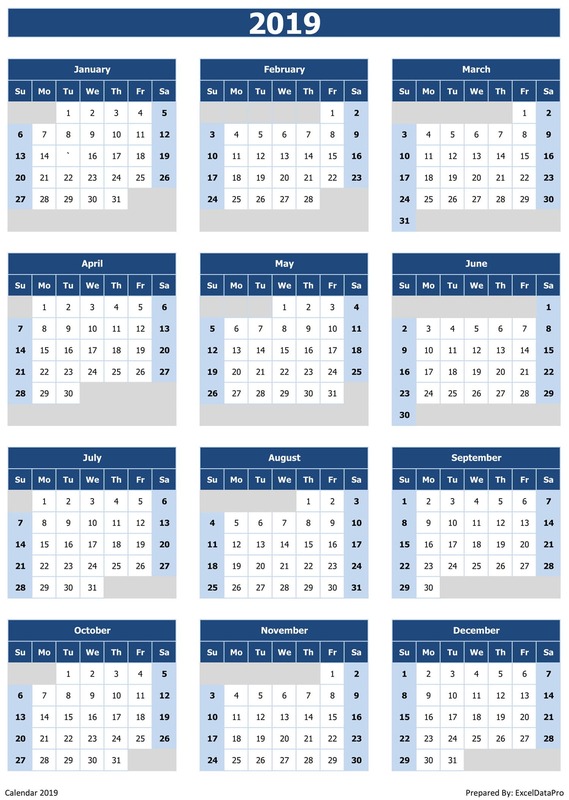 Calendar 2019 in Ink-Saver Color Scheme to save ink and helps toner ink last long. 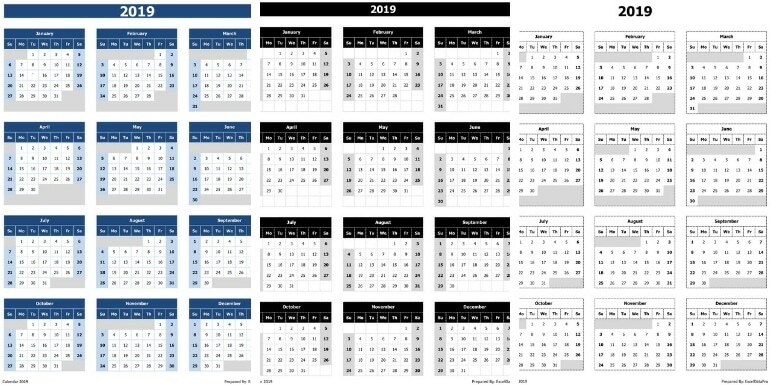 Calendar 2019 in Ink-Saver Color Scheme starting with Monday to save ink and helps toner last long.